Back in 2011, Rio turned into a moderate hit. Its $141 million US didn’t set box offices on fire, but it became enough to ensure a sequel. That follow-up arrived in 2014 with the unimaginatively titled Rio 2. In the first film, a Spix’s macaw named Blu (voiced by Jesse Eisenberg) found love in Brazil with fellow Spix’s Jewel (Anne Hathaway). The last of their kind, they now propagate their species with their children Carla (Rachel Crow), Bia (Amandla Stenberg) and Tiago (Pierce Gagnon) and they live a content existence in Rio. On an expedition in the Amazon with her husband Tulio (Rodrigo Santoro), Blu’s former owner Linda (Leslie Mann) discovers evidence of additional Spix’s macaws. Jewel compels Blu to head to the Amazon and meet these birds – who turn out to include Jewel’s father Eduardo (Andy Garcia) and her super-smooth childhood friend Roberto (Bruno Mars). The journey leads to a mix of issues, as Blu feels threatened by these remnants of Jewel’s past. 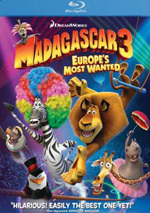 In addition, Nigel the evil cockatoo (Jemaine Clement) seeks revenge, and a greedy logger (Miguel Ferrer) attempts to level the wildlife habitat. After the relatively simple plot of the first movie, Rio 2 ladles on different story elements. That seems like a potential sign of desperation, as though the filmmakers lacked the faith in the characters to maintain another tale with a simple, concise arc. 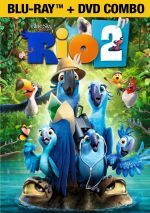 And perhaps those behind Rio 2 did lack much inspiration, but against the odds, the movie proves to be significantly more entertaining than its predecessor. Yes, I realize that Rio set the bar awfully low; given that I referred to it as “flavorless and generic”, it had little room to move other than up. Still, I think Rio 2 could’ve been just as dull as the first, so I’m pleased to see the higher level of amusement on display here. Though I continue to believe the multiple plot threads may represent an absence of spark/confidence, these elements work pretty well. Actually, Rio 2 tops it predecessor mainly because it goes onto so many tangents. Blu and Jewel were forgettable leads in the original, and they continue to be bland here. When the movie concentrates on them and their arcs, it tends to sag. The additions of their kids and Jewel’s friends/family don’t manage much creativity, so the film fares worst when it focuses on them. Because Rio 2 spends so much time elsewhere, though, it manages to overcome those slow spots. In particular, Nigel becomes a delightful character here. Along with his poisonous toad pal Gabi (Kristen Chenoweth), we find an unpredictable and amusing arc that adds real life to the proceedings. None of these factors turns Rio 2 into a classic, so don’t expect it to work wonders. 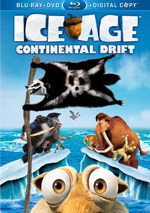 Nonetheless, it entertains enough of the time to become a fast-paced and enjoyable romp. Rio 2 appears in an aspect ratio of approximately 2.40:1 on this Blu-ray Disc. Like most computer animated affairs, this one looked terrific. With most of the action set in tropical jungles, one would anticipate a dynamic palette, and that’s what one would get. The colors were vibrant and bright at all times, as they showed eye-popping vivacity. Blacks were deep and tight, while shadows appeared smooth and well-defined. This was an absolutely killer image. While not as strong, the film’s DTS-HD MA 7.1 worked fine for the movie. The soundfield tended to focus on the front speakers, though the rear channels kicked to life at times. These occurred mostly during the occasional action scenes; we got good movement for vehicles and all the bird flight on display. Otherwise, the nearly omnipresent music showed nice stereo dimensionality, and the track gave us a positive sense of place and involvement. Like the Blu-ray for the first film, Rio 2 comes with a long roster of extras but not much substance. To catch us up on the 2011 flick, Rio Refresher provides a three-minute, 21-second recap. It collects shots from the original to act as a Cliff’s Notes version of the movie. It acts as a decent way to remind us what happened in that tale. One Deleted Scene runs 39 seconds. Called “Practice”, it shows Nigel as he learns about a change in events. It’s insubstantial but I’ll take any added Nigel I can get. Next comes the 19-minute, 28-second Boom, Shake, Snap: The Local Sounds of Brazil. It includes comments from director Carlos Saldanha, executive music producer Sergio Mendes, and musicians Fernando Barba, Artur Andres Ribeiro and Renato Epstein. We get some notes about the music as well as performance clips. We learn a reasonable amount about the movie’s Brazilian tunes here. With Birds and Beats: The Singing Talents of Rio 2, we find a 10-minute, 19-second piece with notes from Saldanha, musician Janelle Monae, and actors will.i.am, Anne Hathaway, Jamie Foxx, Rachel Crow, Bruno Mars, Philip Lawrence, Jemaine Clement, Kristin Chenoweth, Amy Heidemann, and Andy Garcia. We find info about cast, characters and performances. Some decent notes emerge but the piece seems pretty fluffy much of the time. Nigel the Shakespearean Cockatoo and Friends goes for seven minutes, 17 seconds and offers remarks from Saldanha, Clement, lead animators Lluis Llobera, Matthew J. Nunn, Yuehchih Eric Lin, Richard A. Fournier, and James Young Jackson. This one looks a bit at characters and how they came to the screen. Like “Birds”, the piece has its moments but it lacks much depth. Under Music, Dance, Sing-Along Machine, we find three different elements. “Music Machine” lets you skip to any of the movie’s 10 musical scenes – or watch them in a long sequence via “Play All”. “Dance-Along” means you can “dance along with the song by following the character cutouts in the corner of your screen”, while “Sing-Along” delivers the usual Karaoke experience. All are insubstantial but potentially fun additions. You Be the Judge provides three “auditions” from the movie’s talent show try-outs. These fill a total of one minute, 49 seconds and feature tapir, monkey and turtle. These turn into another minor but enjoyable bonus, though I find it odd that they all end with the same gag from the judges. From Janelle Monae, we find a music video for “What Is Love”. This combines movie characters with the song’s lyrics; Monae herself never appears. It’s an abbreviated piece without much merit. After this we get a still gallery. It includes 31 examples of art such as design paintings and set blueprints. Though short, the collection offers good material. A staple of animated releases, we find a multi-language sequence for “I Will Survive”. It offers parts of the song crooned in German, Italian, Hindi, French, Chinese (Mandarin), Portuguese, Korean, Russian, and Spanish. Since the Blu-ray’s language options already provide some of these, they become redundant, but the others add a little bonus. The disc opens with ads for Peanuts, The Book of Life, Almost Home, Mr. Peabody and Sherman, and Dragons: Riders of Berk. We get two trailers for Rio 2 as well. A DVD copy of Rio 2 comes as part of the package. It includes none of the Blu-ray’s extras. While it doesn’t dazzle, Rio 2 offers a definite improvement over the original flick. Looser, funnier and more likable, it delivers an enjoyable experience much of the time. The Blu-ray boasts excellent visuals along with good audio and a passable set of supplements. I find Rio 2 to end up as a reasonably fun piece of work.